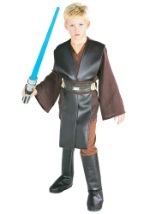 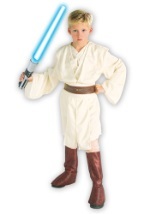 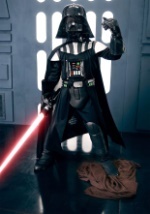 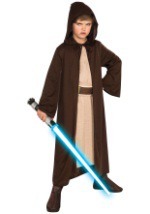 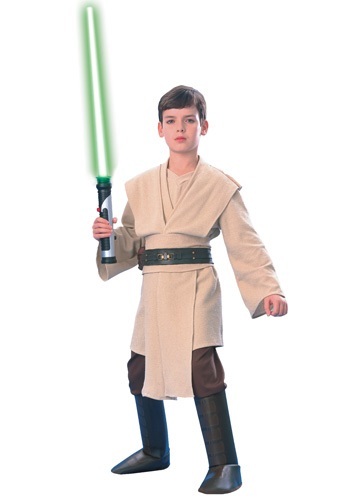 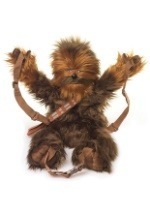 Turn into a true Jedi with this Child Super Deluxe Jedi Costume. 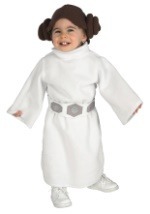 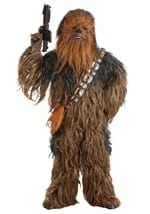 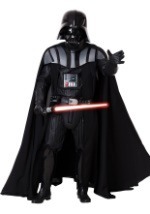 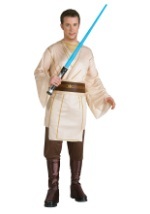 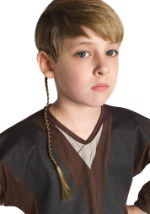 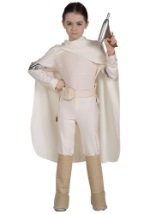 The Star Wars costume features a highly textured ivory tunic with attached shirt and is made of 100% polyester. 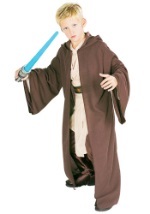 The costume also comes with a pair of brown pants with an elastic waist and connected boot covers. 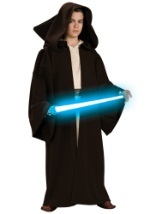 In addition, a rubber molded belt and matching sash are also included. 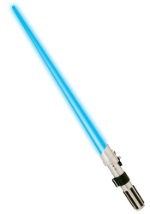 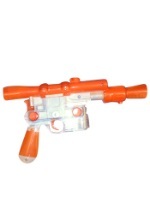 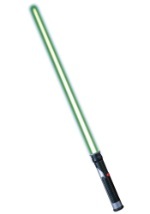 Be ready to defend the galaxy by adding a lightsaber.